The British Aerospace Jetstream 4100 IS a twin-ENGINE 29 seat regional turboprop airliner produced BY BAE Systems, formerly known AS British Aerospace. The Jetstream 4100 IS an improved development of the 19 seat Jetstream 3100, designed TO compete directly WITH 30-seat aircraft LIKE the Embraer Brasilia, Dornier 328 AND Saab 340. The Jetstream 4100 introduced a 16 ft (4.88 m) fuselage stretch, consisting of an 8 ft 3 IN (2.5 m) plug forward of the wing AND a 7 ft 9 IN (2.36 m) plug TO the rear. The NEW design required an increased wing span, which also included reworked ailerons AND flaps. The wing was mounted below the fuselage IN order FOR it NOT TO carry through the cabin aisle, which also led TO larger wing root fairings which increased baggage capacity. 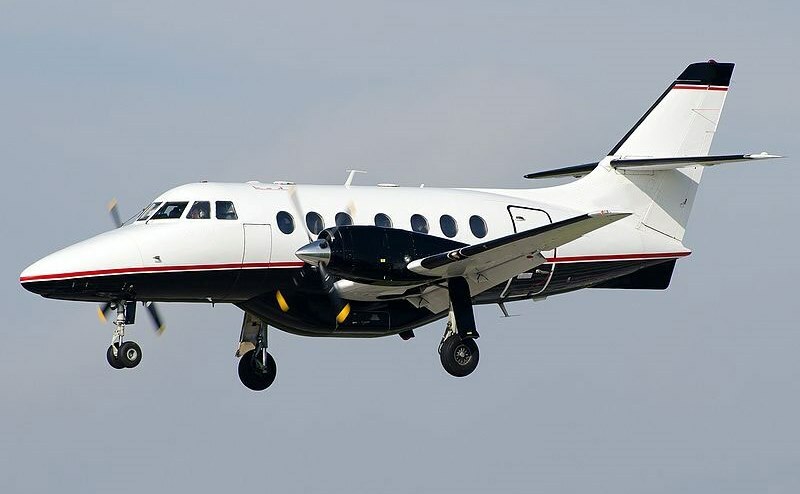 The Jetstream 4100 IS powered BY Honeywell (Garrett) TPE331-14 ENGINES providing approximately 1000 shaft horsepower, allowing the Jetstream 4100 TO yield significant gains IN takeoff, climb AND cruise performance. The Jet Stream J41, developed by British Aerospace (BAE) is an economy sized turboprop airliner that was in production for over 13 years with 100 units manufactured between 1993 and 1997. Used as a mainstay of regional turboprop airliners, the Jetstream 41 has proven to be a workhorse of the regional and feeder market in the late 1990's. The Jetstream J41's key features include a quieter cabin, a higher ground clearance of unimproved runway use, and a redesigned aircraft for a greater cabin height. 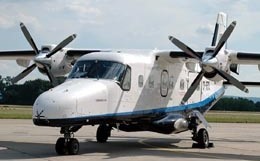 Powered by ultra-reliable Allied Signal TPE331-14GR turbo propeller engines, the Jetstream J41 has the power to service short runways while operating with a full load of 30 passengers and baggage. Due to its high ground clearance, this aircraft is also ideal of use on unimproved dirt or turf landing strips. The interiors and avionics packages have been kept up to date and its flight deck is equipped with the very same avionics that are found in the cockpits of modern jetliners. Additionally, due to design improvements from previous models, the J41 offers improved cabin height of 5 feet 10 inches. Additionally, cabin design improvements from the J31 give the cabin a more spacious feel, as well as improved noise canceling characteristics. 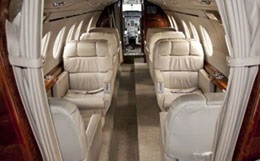 The Jetstream provides a fully capable aft lavatory for passenger use. Being the aircraft of choice with regional airlines around the world, the J41, is a good balance between economy and performance. With a range of 774 miles, and a maximum altitude of 26,000 feet, this aircraft has the range to get your group to their destination, while flying above the most in-climate of weather conditions. Passengers will enjoy the large luggage space of 270 cubic feet of luggage space. 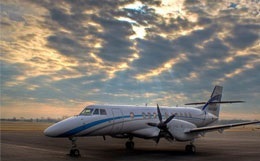 Operators and charter customers still see the Jetstream J41 as a valuable work workhorse in aviation. For more information about chartering, leasing or buying a Jetstream 4100 please contact us by calling +44-20-3874-8091 or send us an email here.